For those of you who are familiar with internet technology, of course, understand the term online (cloud) storage, hoster or hosting, and others related to online data storage. Especially if the data stored is sensitive and personal data. Of course this requires a strong security system for maintaining the data from irresponsible thieves. this time I will introduce you to a company that is holding an ICO with a product that is a decentralized cloud storage platform. They call themselves Memority. What are they like and how are they? See the explanation below. As information above, Memority offers an important data storage platform that is fully decentralized and guaranteed to be very safe by using a blockchain technology. 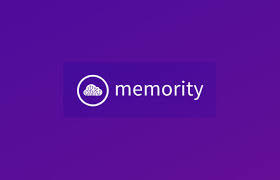 The Memority platform will provide copies of each encrypted and distributed data in all repositories throughout the world. Their mission is to create an independent ecosystem and consists of many applications to meet the needs of various types of institutions both government and private and even individuals. Like a crypto wallet, Memority will provide private key facilities that are used to open each of your data. That means all the data that you upload on their platform will be encrypted well and neatly to ensure the security of your data. Furthermore, Memority also provides an API facility for third party developers to use the storage feature in their own applications. What about the details of features and services on their platform? we will discuss in the next article. for more information, you can visit their official link below. May be useful.